Sir Walter Raleigh was one of the most divisive figures of the Tudor period; instrumental in the colonisation of North America, the destruction of the Spanish Armada, and the popularisation of tobacco in England, he is held up as a symbol of the tumultuous ambition of the Elizabethan age. Known in the Tudor Courts as much for his immoral attitude as for his expansive achievements, Sir Anthony Bagot dubbed him ‘the best-hated man in the world’. Margaret Irwin combines her skills as a historian and novelist to document the life and deeds of this polarising figure in his glory and his misfortune. Offering a portrait of the man who truly embodied the Renaissance ideals of the Elizabethan age, Irwin explores the many sides to Raleigh: the explorer, the sailor, the advisor, the literary patron, and above all, the pioneer. 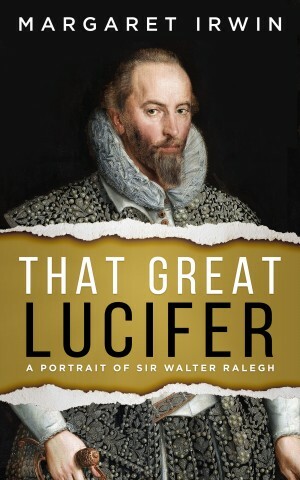 A noted authority on Elizabethan England, Irwin conquers Raleigh’s tale with wit and dexterity, weaving Raleigh’s own journals into a broader historical context. From the glory filled days under Elizabeth I to his loss of favour and eventual execution under James I, this epic biography is an enthralling account of one of the most significant figures in British history. That Great Lucifer was originally published in 1960.